Last week, I was reading a novella and it brought the question to my mind, should I count it towards my reading goal? It was something I read, but not necessarily a book (as it was only 50 pages long, so pretty short). Novellas can go either way, if you want to count them towards your reading goals—go ahead. If not, then just don’t do it. Ultimately I decided yes, to mark it on Goodreads and to add said novella to the books I read in 2017. Some people may see this as “cheating”, adding a 50 page short story to a yearlong reading goal, but I don’t find it to be cheating at all. But because I was conflicted over this earlier, I thought I would talk about when I think you should/shouldn’t count novellas towards your reading goals. If you are reading just one novella that’s not apart of a collection, then go ahead, add it to your reading goal. To me, this is totally okay. You read a novella, meaning you took the time to read a short story. It’s not like reading an article or a blog post—you read a shorter version of a novel. So really, this can still be considered a book. This is similar to reading a children’s picture book. Though it isn’t a novel and it’s pretty short, you were still reading a book. This is totally just my opinion, but if you are reading a book that contains a collection of novellas/short stories, don’t add each individual one to your goal, just the entire book. 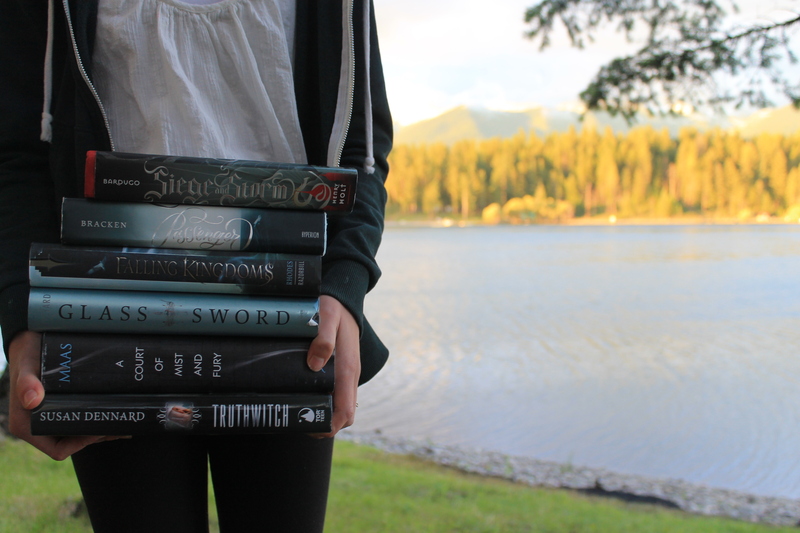 Take books like The Assassin’s Blade or The Bane Chronicles. These are collections of novellas. However, all the novellas in these books have been published separately on their own. If you aren’t reading the book collection, then of course you can add them to your goal individually. All in all, this is entirely your decision. I was just thinking about this earlier and I put some thought into it to basically come to the conclusion of what I outlined in this post, even though it was pretty short. To me, you should count a novella towards your goal if you are reading them individually and they aren’t a part of a published collection.In that case, I would only add the full collection to my goal, not each novella. Again, this is only my opinion on this topic and I know everyone feels differently about it. Do you like reading novellas? When you do, do you count them towards your goals? What are your thoughts on this topic? Let me know down below! Interesting topic! I usually add novellas if they’re stand alone, but not if they’re bound in an anthology format, although that gets tricky if they’re previously released individually and THEN compiled into one book. I think as long as I’m reading something with a cohesive plot then it usually gets counted, especially since novellas cover a really broad range, from 40-50 pages to 200 pages. Same here! I didn’t realize they had all been previously released. I definitely agree. I mean, I’ve seen people add all the novellas from the Assassin’s Blade and then the actual book, but I guess that’s just their choice. I never really read them either, so that’s why it came to my mind. I generally follow the same rules as you! It can be a bit weird when a novella is published in a bind-up later, like for The Darkest Minds series. I read the first novella long before the bind-up was announced, so I marked it as read separately…but then I read the bind-up and marked that as read, too. I still need to read the TDM novellas. I was going to when I first read the series but now I’ve forgotten. It is really weird, like The Shadowhunter Academy novellas or Bane Chronicles. That’s why I waited for the full bind up just because it was easier to read them all at once. It’s funny because I was just going to talk about this very topic. I usually count novellas individually if they’re above 100 pages and bind-ups as 1 book. Or else I add several different novellas as “1 book” to count the total at the end of the year. It’s really random for me. I have a love hate relationship with novellas because I feel like I need to read them to complete the series but most of the time, they’re too short. Oh really? That’s funny. XD The one I read was only like 50 pages, but I was just like screw it, I’m counting this towards my goal. That’s actually a really good idea, to count them as just one or two books. If I read more novellas I would do that. I totally agree! Like, they add on to the story but at the same time, they don’t really add much because they’re so short? Ugh, this is one of the reasons I hate novellas lol. Like, it’s a stupid reason to hate them, I realize that, my reading goal isn’t, like, some big important thing, but still. What I generally do is I don’t include any books below 100 pages. But I made a couple exceptions last year because two of the classics I read were below 100 (Jekyll and Hyde and Alice in Wonderland, I think) and because I read the two novellas that go with Shatter Me, and since one of them was over 100, it would’ve felt weird to only include one but not the other lol. But yeah, it’s fair for everyone to just count whatever they want. I totally get it. I don’t know, sometimes i feel like novellas are just a way to get more money? I didn’t realize those two books were so short! I’ve been dying to read Alice. I usually only count novellas if they’re part of a bigger book. Like, instead of adding each novella from Tales of the Shadowhunters Academy, I’ll read them all and count the whole book as just one book. Usually I don’t count the comics/short stories I read at the end of the year when I’m counting up my total. Yeah same. I think that makes the most sense, but sometimes if I just read a single novella, I’ll add it anyways. I don’t ever really read short stories or comics though, but that’s kind of why I was inspired to do this post. I couldn’t decided if I wanted to count it or not.